Home » Articles » What is HDCVI? HDCVI (High Definition Composite Video Interface) is a solution for megapixel high definition applications, featuring non-latent long-distance transmission at a lower cost. The name has to do with its baseband and quadrature amplitude modulation technology, which is able to avoid CVBS cross talk, completely separate brightness and hue signal, and further enhances video quality. 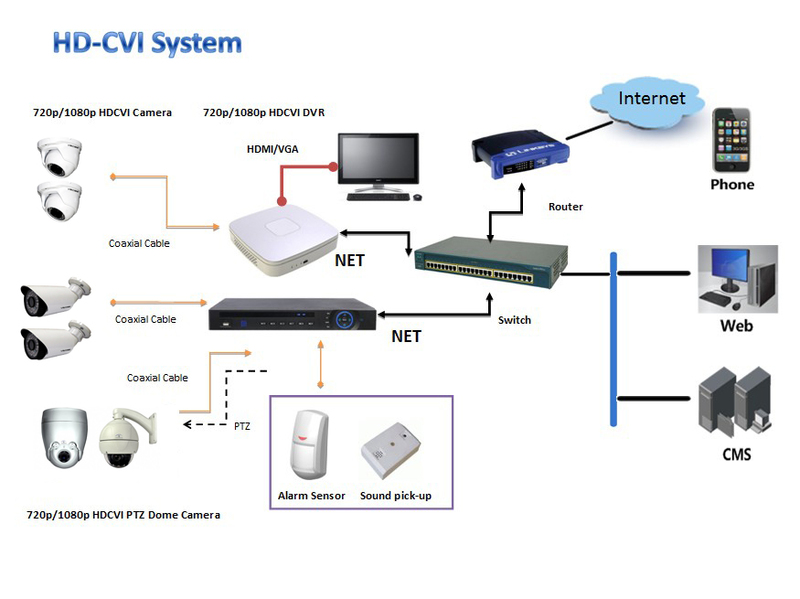 The HDCVI solution incorporates both cameras and DVRs. The system is star topology structured — the DVR serves as a node for an over coax P2P (Point-to-Point) transmission to the camera. The technology offers two specifications: 1080p (1920×1080) and 720p (1280×720). In addition, the technology features the Auto Signal Compensation (ASC) patent, which only allows an extremely low signal distortion along long-distance transmissions. HDCVI composites video, audio, and control signals together and then transmits them over one coaxial cable, simplifying installation. To further realize multiple-signal transmission over one cable, both audio and dual-way data communication signals are embedded in a blanking zone. This enhances synchronization with the video signal and supports a max sampling rate of 44.1kHz thanks to ASC.